Environmental education is a very important tool that allows approaching the public (residents, tourist and tour operators) and teaching them about the importance of protecting our natural resources, specially the Humpback whales in BanderasBay. Through workshops, lectures and festivals we can educate about the characteristics and needs of this charismatic cetacean, and also share the results of our research projects that indicate the status of the local stock. Currently we are working with the U.S. Fish and Wildlife Service (FWS) in the project “Environmental Education and Conservation of Humpback Whale Reproduction Habitat in Jalisco and Nayarit, 2015-2016.” This project is part of the “Wildlife Without Borders – Mexico” program in which the Fish and Wildlife Service, USA and the National Institute of Ecology, Mexico alliance. This project complements campaigns and programs done in previous years in collaboration with FWS. This campaign started in 2012 in supplement to the “Cruise with caution campaign” and since we have had a great response, it is still going on! 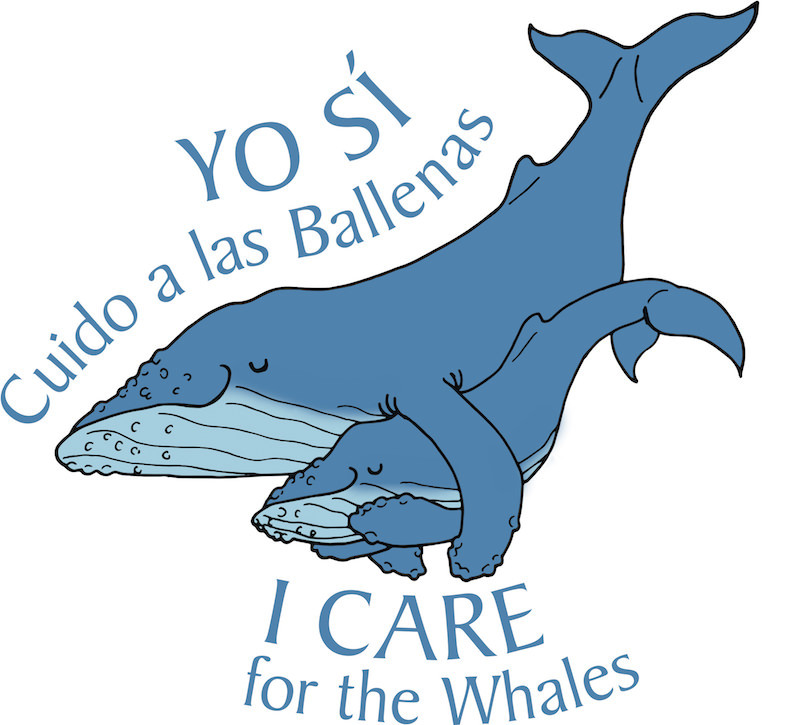 “I do care for the whales” campaign promotes good navigation practices and the Mexican whale watching regulation (NOM-131-SEMARNAT-2010) during whale watching season. 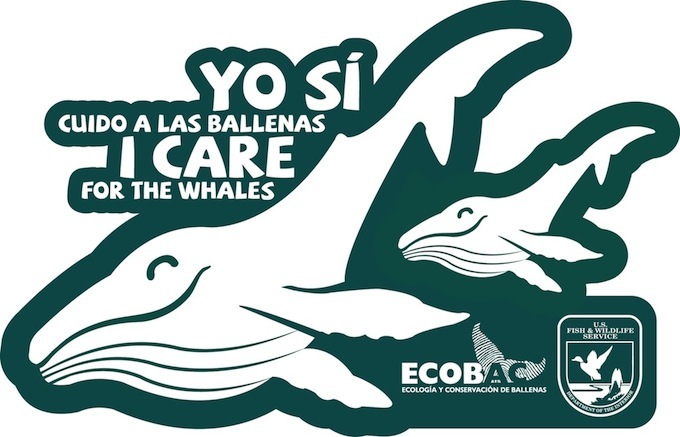 Some of the activities of this campaign involve giving out bilingual flyers with the Mexican whale watching regulation in the marinas and ports along with a media campaign. We also generate mechanisms to acknowledge responsible and most outstanding whale watching tour operators or companies that abide the whale watching regulation but also participates in research or conservation projects. The idea is to reward all the persons that participate in the care, conservation and research of humpback whales and that offer an excellent touristic service. We want BanderasBay to be considered the best whale watching destination. Watch out whales in the ocean! 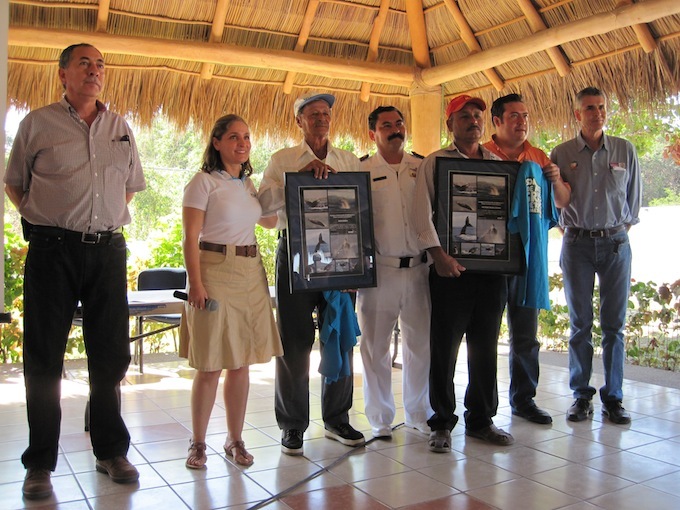 The Banderas Bay Technological Institute started this campaign with the support of the US Fish and Wildlife Service (Wildlife without Borders) in 2011. This campaign main objective is that all the boats (tourist, private or foreigner), extreme caution or lower their speed when navigating in BanderasBay during whale season. Calves are quite slow and can´t avoid fast boats. We want to avoid whale strikes for human and whale safety. As part of this campaign, we distribute bilingual flyers in the marinas and ports and place advertisements in critical points. Since this topic is very important, we have managed to continue with this campaign throughout the years. 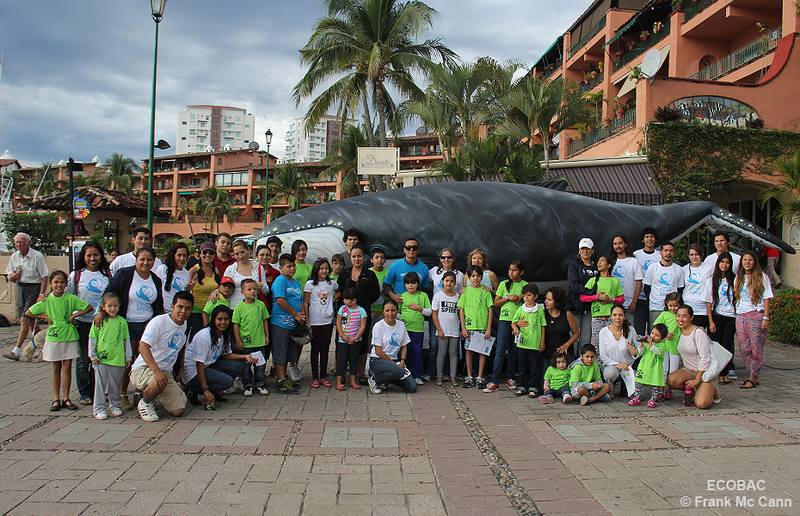 Since we can´t really care for things we don´t know it´s very important to train whale watching tour operators. As a first step towards training in 2002 we organized the 1st. Humpback Whale in Banderas Bay Workshop, were research, regulation and conservation issues were discuss. Researchers, students, whale watching tour operators, public and government authorities assisted. Due to the success of this workshop, three more workshops were organize in 2004, 2006 and 2008. 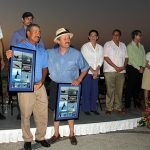 In October 2008 we organized the 1st Whale watching tour operators in Nayarit and JaliscoCoast workshop. The workshops took place in Rincón de Guayabitos and San Blas. This workshop was sponsor by IFAW and it´s main objective was the training of tour operators so they could learn more about the biology, behavior and photoidentification of humpback whales as well as the importance of good quality services. In the winter 2010-2011 we collaborated with the Instituto Tecnológico de Bahía de Banderas in the “Training and Conservation of Humpback Whale Breeding area in Jalisco and Nayarit″ project. From September to December 2012 we organized workshops for whale watching tour operators in Oaxaca´s Coast, Jalisco and Nayarit. The workshops reinforce the importance of following the Mexican whale watching regulations; it covered topics like biology, behavior, research, good navigation practices and possible sanctions to whale watching regulation violators. The Mexican Nation Park System (CONANP), Banderas Bay Technological Institute, Wildlife Rangers (PROFEPA) and Wildlife Ministery (SEMARNAT) participated in the workshops. At the end of each workshop the tour operators made a FORD analysis to be clear about their strengths, opportunities, risks and weaknesses and to be able improve in the near future. We hope to be able to organize more workshops in the near future! Be the first national festival about whales, positioning the bay as an important destination for the whale watching experience. Through the festival, position the region as a destination friendly to whales and the sea. Attract more eco-tourism to the region and let it know to national and international associations. 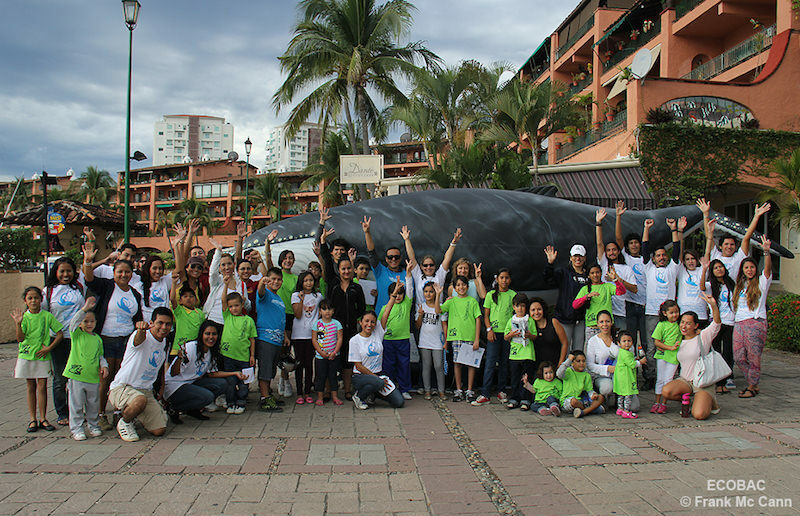 To strengthen and promote cultural and ecological activities related to whales and marine ecosystems. 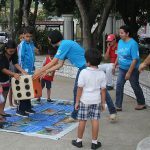 Involve the child population to promote the respect and care for nature. Involve the whale watching tour operators authorized by SEMARNAT to encourage good navigation practices and compliance with regulations. 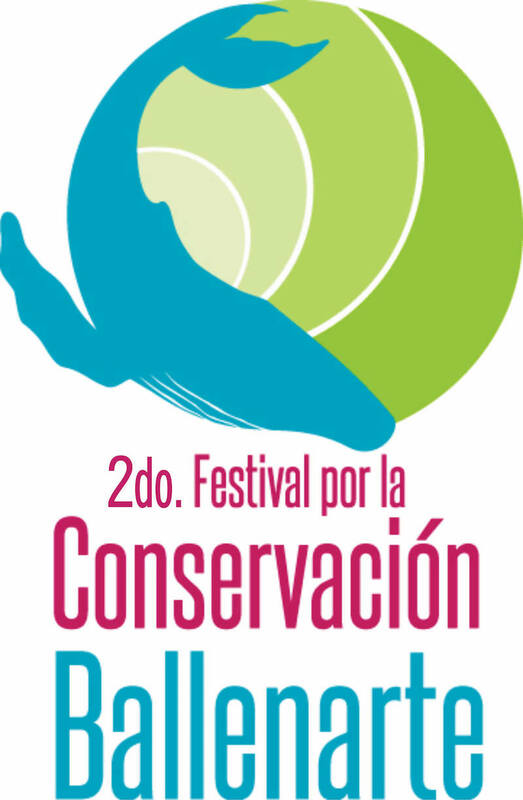 From january 8 to 11 of 2014 it was carried out the first festival for the conservation BALLENARTE, with the slogan “waves that move us”. 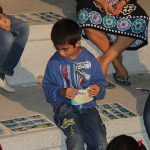 Cultural and ecological activities were performed related to whales and marine ecosystems involving from kids to entire families, going from locals to international tourists. This was achieved with different events. 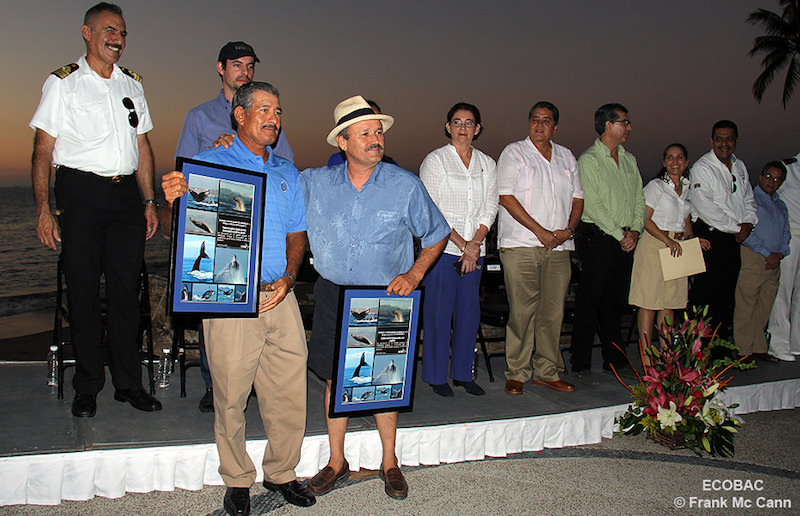 The first day was inaugurated with a carnival of decorated boats, fireworks, awards to the best decorated boat, and acknowledgement to the whale watching tour operators that did the best observation of whales the past season. Also during this festival “kuikani” (nahuátl word for singer) was exhibited, an inflatable whale 6.5 meters long. 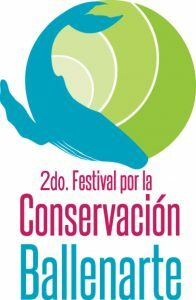 The next two days, conferences were held about the humpback whale and the projects on Banderas Bay, the documental Oasis Marino was projected, as well as a photo-exhibition with the best works from whale photographers around the bay. 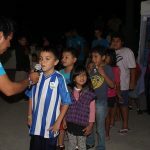 The last day a rally of bikes for kids was held with the theme “the humpback whale” and that night was the closing of the event with a benefit dinner in the park Lázaro Cárdenas, where there were raffles, live music and delicious food from various restaurants of the region. 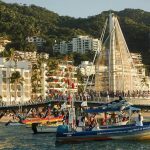 This first festival was possible thanks to the support of our sponsors like CONANP, SEMARNAT, Centro Universitario de la Costa, Green Realty, Ecotours de México, Los Arroyos Verdes, PV animal, Fundación Punta de Mita, Raiz Cristal, Xisco Bike, Ruta Pacífico Cevichería, Pegaso Chartering, Timon Tours, Playa Los Arcos, Explora Vallarta, Secrets Resorts, Sabuesos Veterinaria, Vallarta Adventures, Bubba Gump, Superior Tours, Villas del Mar, Zaragoza Marine, Imanta Resort Litibu, ALMAR, Restaurante NU, Suites Emperador, Hotel Eloisa, Servicios Aereos Corporativos, Jardín del Pulpo, Vallarta Centro, SECTUR Jalisco, Fideicomiso, Asociación de Empresarios de Puerto Vallarta y Bahía de Banderas, Café des Artistes, H. Ayuntamiento, Hotel Catedral, Now Amber and Golozo´s bike. 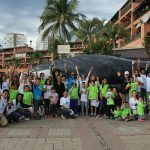 As part of the campaign “I care for the whales” and with the slogan “knowing, loving and caring” the second festival for the conservation BALLENARTE was held, which on this occasion was directed mainly by kids of the region. A month before this festival, talks were held in schools and public libraries as preparative activities for the festival. The festival started on march 16 in Los Mangos library, were children meet at 5:00 pm to learn and have fun with the interactive and didactic games, tales and gifts. The second day continued in the Centro Universitario de la Costa where biologist Astrid Frisch held a conference about humpback whales and projects going in the region. 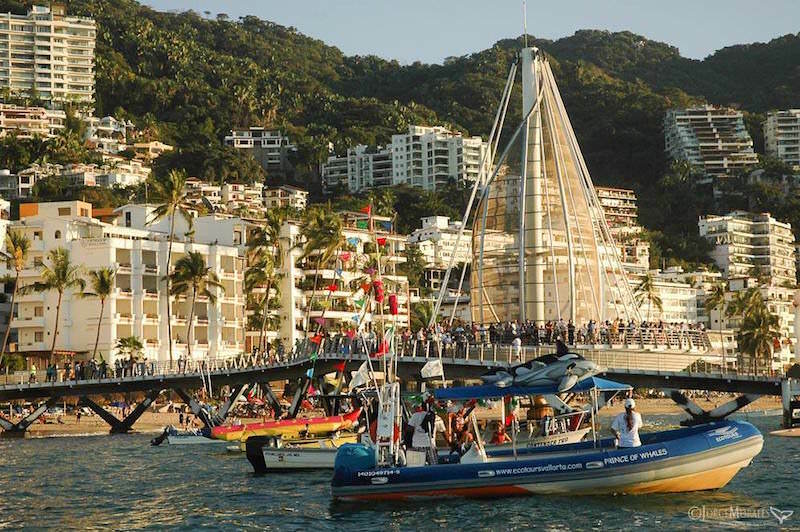 The festival ended in Los Arcos of the boardwalk in Puerto Vallarta, with games, activities and educative panels and with the attendance of locals and tourists. On both the library and the boardwalk kids could paint the tail of a whale model, teaching them the basics of photo-identification, they could also play marine lotto (Zoomergidos) where kids learned about marine mammals that are found in the Gulf of California, whale anatomy and the problems that whale face in the sea. Also the premier for the tale “Yuba y la pelota” by biologist Roberto Moncada (Instituto Tecnologico de Bahía de Banderas) was held with success at the library. Educative panels were showed where kids learned about the migration and anatomy of humpback whales. Kuikani, the inflatable whale of 6.5 meters long was the pet of the event and served as a big attraction. The second festival for the conservation BALLENARTE was held thanks to the sponsorship of the Fish and Wildlife Service of USA, the didactic materials were designed with the support of Ana Ezcurra and with the coordination of the career of design for graphic communication from the Centro Universitario de la Costa, UdeG, in charge by Marcela De Niz Villaseñor and the students, Alma Bernal Navarro, Ángel Vázquez Juárez, César Galindo Hernández, Cindia Pérez Aguirre, Desiree Soto Ruiz, Edgar Orlando Gamboa Ramos, Karla Santana Ornelas, Michelle Medellín Valdez, Ramón Orlando Gamboa Cuadros y Tonatiuh Santos García, thanks for your invaluable work in the coordination and design of the didactic games, informative panels and the campaign “I care for the whales”. Thanks to Valeria Mas for providing the great photograph of the humpback whale with its calf. Also we thank the enthusiastic volunteers who kindly commit to support in the activities before and during the festival: Ana Ezcurra, Anel Acosta, Artemio Martínez, Betty Richter, Blanca Eng, Candy Lara, Claudia Parra, Edna Cornejo, Fabiola Flores, Franck McCann, Giovana Reyes Haritz Andrade, Isabel Moran, Jorge Morales, Lesli Mendoza, Manyi de la Cruz, Michael Acosta, Mónica Domínguez, Noriela Andrade, Tania Verdín, and students from the Instituto Tecnológico de Bahía de Banderas that joined to support the festival.